Product prices and availability are accurate as of 2019-04-14 01:00:15 EDT and are subject to change. Any price and availability information displayed on http://www.amazon.com/ at the time of purchase will apply to the purchase of this product. 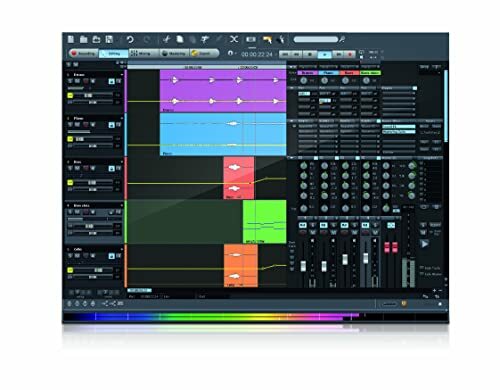 Samplitude 11.5 Producer transfers an entire recording studio to your PC and offers an easy start into the world of professional music production – whether at home, in your rehearsal space or in your project studio. From multi-track recording, audio editing, and composition to mixing and CD mastering - whatever you have planned, your music is the main focus! For solo projects at home you can record, arrange, and edit any instruments or vocals. The Jam Session feature even comes with an authentic virtual back-up band. If you’re already part of a band, the multi-track recorder will work great for you. This way, you can focus on all the creative aspects next time you come together. 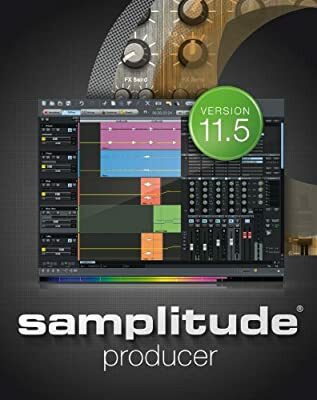 To sum it up, Samplitude 11.5 Producer is fully equipped with all the extras required for producing music professionally: MIDI editor, mixer, audio editor, software instruments, professional effects, etc. From multi-track recording, audio editing, and composition to mixing and CD mastering - whatever you have planned, you music is the main focus! Whether solo artist or an entire band, this program will let anyone create amazing new tunes. A rich feature set and an extensive number of first class virtual instruments will help you with that. The improved recording workspace gets you started right away and comes with lots of useful extras, such as tuners for guitars and bass or info boxes with tips and tricks related to music production. The revised FX rack provides access to all effects that are important. Integrated effects such as the 10-band equalizer, reverb, delay as well as the pitch and tempo sections use Samplitude Pro Audio technology and meet the highest quality standards. Let the authentic effects from a unique category surprise you: the Vintage Effects Suite offers classic effects devices like chorus, flanger, delay, distortion, filter, and tape simulation.